When Grace Kelton died in 1975, her will entrusted the Kelton property to the Columbus Foundation with the stipulation that her family home be preserved and used for educational purposes. The Kelton House, as it is now called, had been in the Kelton family since the house was built. 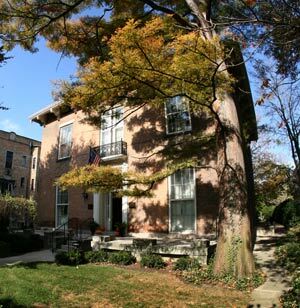 In 1976 the Junior League of Columbus took on the task of renovating, restoring the house and garden to create a museum of 19th century life in Columbus. Fernando Kelton came to Columbus in the early 1830s from Vermont and began working for John Stone (who came from Massachusetts and was a merchant in Columbus). Fernando Kelton later married Sophia Stone in 1841. In time they opened their own business in downtown Columbus. When Fernando and Sophia built there house in 1852, the house was the last residence on East Town Street, and surrounded by pastureland. Because Fernando was deeply involved in Abolitionism, it is thought that he perhaps chose this location to conceal his involvement in the Underground Railroad. The Kelton's helped a number of fugitive slaves and their home was considered a safe house on the Underground Railroad, despite the fact that such acts were strictly forbidden by law and those found guilty of hiding slaves could be sentenced to up to 6 months in jail or fined $1000. In the 1850s, Ohio was an anti-slavery state, yet there were still a number of people, especially in southern Ohio, that were pro-slavery. At the time, Columbus' population was a mix of anti- and pro-slavery citizens. This could create problems for citizens openly siding with either side. Since there were no written records kept on the Kelton's Underground Railroad activity, it's not known how many slaves actually passed through the Kelton residence other than the stories passed on from one generation to the next in the Kelton household. Oscar Kelton, son of Fernando and Sophia, enlisted in the Union army during the Civil War. Although his parents had forbidden him from doing so, when he turned 18 Oscar convinced them that with his beliefs and the beliefs of his parents, it was the right thing to do. They finally acquiesced. After having a successful military career, Oscar was killed in Mississippi in 1864. On display in the Kelton house, is a scrap book that has the actual telegram the Kelton's received telling them of the death of their son. As with many older homes, stories become associated with them as being haunted. Kelton House is no different. Volunteers tell of being able to hear the sound of footsteps coming from upstairs, when no one is upstairs. There is also a portrait of Sarah's Great Great Grandfather, Daniel Penfield, hanging in one room. He warned Sarah, probably in jest, that if she were ever to take down his portrait, then the walls of their house would surely crumble. Great care has been taken not to move the painting. Today the Kelton House offers an ongoing program of house tours, special events, and educational opportunities sponsored by the Junior League. An active volunteer program provides a training ground for individuals interested in historic preservation, the decorative arts, American history, and museum management. 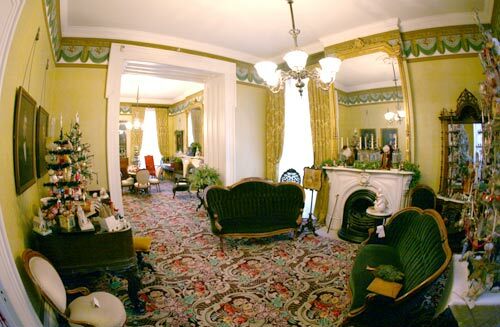 Kelton House offers a rich treasure of Victoriana furnishings, containing everything from lavishly embellished Victorian silverware to more obscure items such as the woven-hair brooch worn by Sophia Kelton and that can be seen in one of the paintings of her hanging in the house. 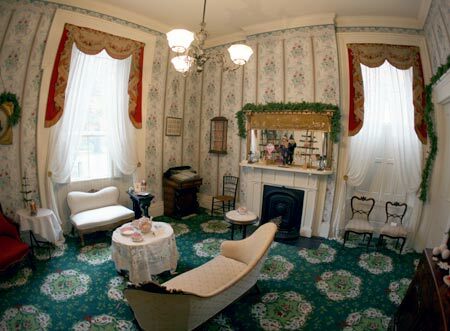 The museum displays the story of 19th Century urban Columbus through period rooms of detailed furnishings, art and personal items handed down through generations of the Kelton family that were donated to the Kelton House Museum and Garden. The gardens at Kelton House have been carefully restored to typical plantings found in many central Ohio gardens during the Victorian era. The brick terrace along the east side of the house uses some of the original iron work installed by the Keltons. During the growing season, there are pink crabapple trees, rhododendrons and wildflower beds, plus an assortment of showy annuals that would have been right at home in a Victorian garden. The pergola at the north end of the garden makes an ideal focal point to the main garden. Museum Hours: Sundays, 1-4 p.m.
Tours can be arranged at other times by scheduling in advance. Rooms also may be rented for meetings, parties and weddings. Admission: $6.00 per person, with discounts for children and senior citizens. Special event pricing varies with the event. 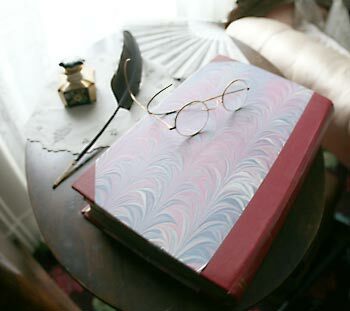 The Museum Shop offers items in keeping with Victorian sensibilities and provides a source of income to the Kelton House. Wheelchair Access: The first floor of Kelton House, which includes the parlors, dining room, meeting room and bathroom, is wheelchair accessible. Parking: Free parking is available in the lighted, brick walled Junior League parking lot on Franklin Avenue, between Washington and Lester (about 1 block north of Town Street). The Kelton House is available both social and business events including conferences, retreats. The house also is ideal for weddings. The Kelton House can accommodate 150 for a cocktail-style event and 100 for a sit-down lunch or dinner. During fair weather, the terrace can also be used for even greater capacity. Kelton House has the ability to cater most events including buffet-style luncheons. 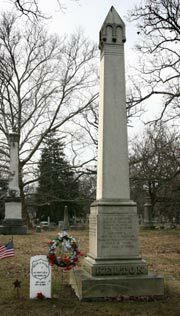 Fernando Kelton and his wife Sophia are buried in Green Lawn Cemetery on the south side of Columbus along with other family members including Oscar Kelton. Oscar Kelton was a volunteer in the 95th Ohio Infantry. He was killed during an engagement in June, 1864 in Mississippi and was buried there. After the war, Fernando traveled to Mississippi and brought back Oscar's body for burial at Green Lawn Cemetery. On his way back, Fernando had an accident that ultimately led to his death on May 11, 1866. Sophia L. Kelton was born in Worthington, Massachusetts on September 5, 1819 and died January 7, 1888. The Underground Railroad was a number of routes that runaway slaves used to take from southern plantations north to freedom in Canada, using the North Star for direction. There was no actual train and it was not underground. The Underground Railroad was the term used to describe the process of helping escaping slaves make their way to freedom which often meant hiding them in safe houses called “stations.” Runaway slaves were guided by a “conductor” who usually was a friend who knew the area and would help the slaves reach the next station. The Kelton House was one of several safe houses or stations along East Town Street in Columbus. Hanby House in Westerville was another such stop. Founded in 1923 as a service group of women. From its original 11 founding members,the Junior League of Columbus has grown to nearly 700 members today. Starting in the 1920s and right up through this new century - the Junior League of Columbus has been actively improving the Columbus community and training volunteers who make a difference in the lives of others. Founded in 1943 by Harrison M. Sayre and a group of concerned citizens. The Columbus Foundation has helped individual, families, and businesses realize their hopes and dreams for improving our community and helping others through effective charitable giving. The Columbus Foundation is located in the former Governor’s Mansion which served as home to 10 of Ohio’s Governors, from 1920 to 1957.